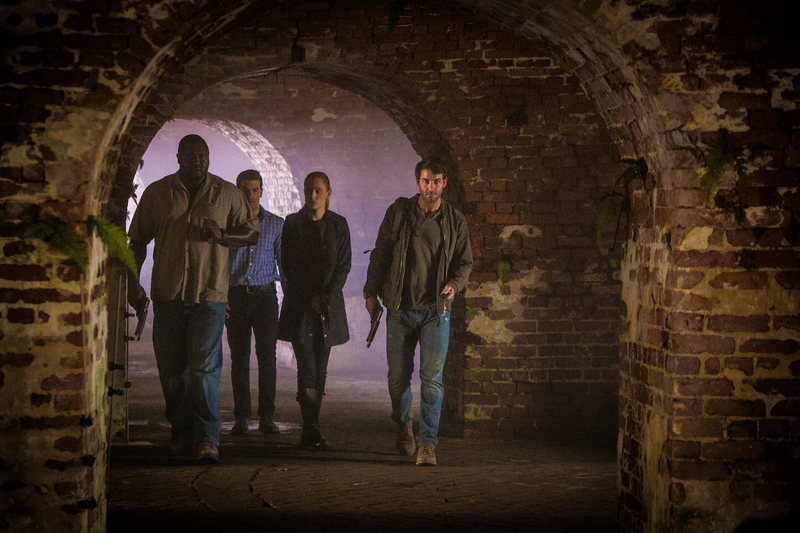 Nonso Anozie as Abraham Kenyatta, Simon Kassianides as Jean-Michel Lion, Nora Arnezeder as Chloe Tousignant, and James Wolk as Jackson Oz. On "Sleuths," the Zoo team travels to Paris to search for a group of bears that were being studied for migration habits when their trackers mysteriously went offline. While investigating the strange occurrence, Chloe must work with and ultimately confront her ex-fiancé, a civil engineer, who is helping city officials find the missing bears. Meanwhile, with Jamie accused of murder, the team makes a daring plan to hack into the Reiden-Global mainframe, and Mitch makes a shocking discovery about the next evolutionary step of the animals.